Last year I started seeing ideas floating around pinterest on making burlap tree skirts. I really liked the idea. I like burlap too, but I wanted more green and red. 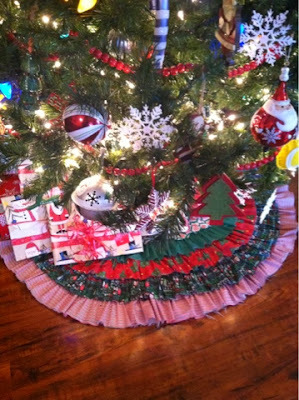 Not having a tree skirt that I really LOVED, I began playing around and came up with my version. I call it the Scrappy Tree Skirt. 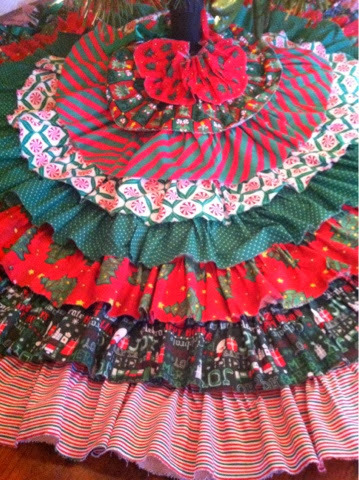 I love the layers of color and prints. 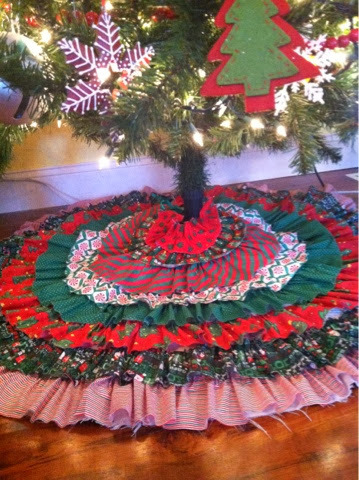 It makes such a pretty statement under the tree. Each one different from the last. 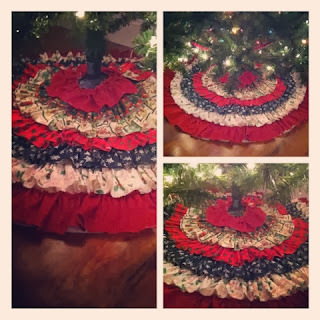 My Christmas tree was not only my favorite thing to put out now. 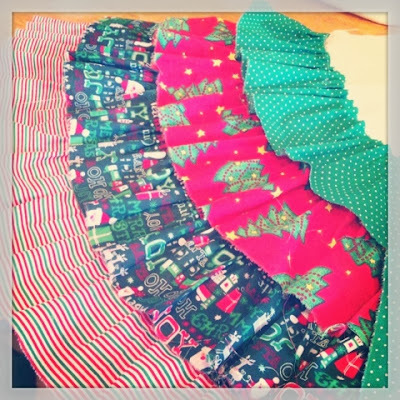 Pulling out our heirloom Christmas tree skirt is too!